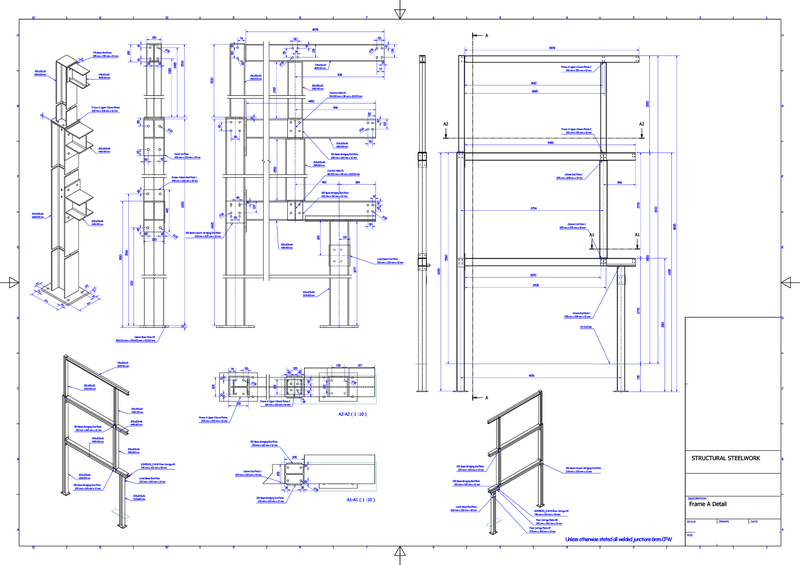 CAD services are the cornerstone of 2TA's business and dovetails into many of the other areas of service we provide. We have invested heavily in software over the years and maintain the most up to date versions of AutoDesk AutoCAD Design Suite, the industry standard within the Construction Industry. AutoCAD 2018 - full version The Industry Standard within the Construction Industry. 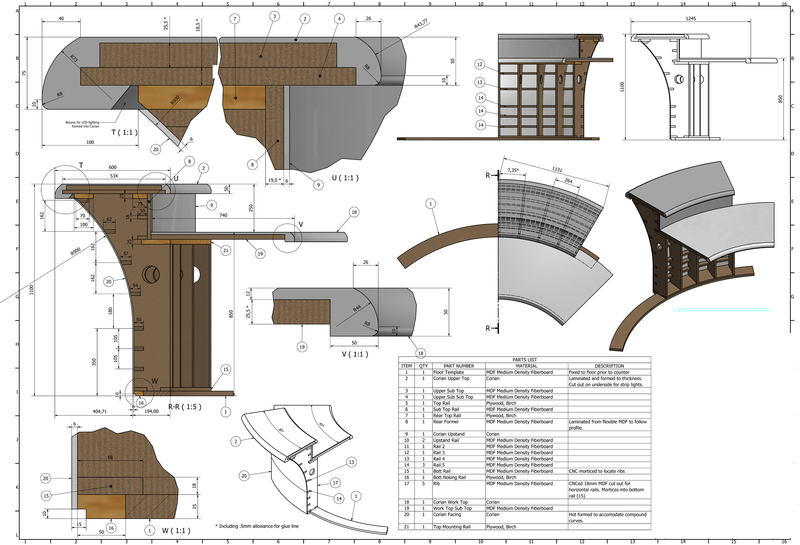 Offering extensive drawing tool sets with parametric detailing in 2D. Inventor provides spectacular facility and efficiency in manufacturing documentation. In addition to full 3D model based CAD drawings it can automatically generate Bills of Materials and weight analysis from the drawing data. Inventors parametric modelling base allows fast dimensional changes which translate through the project including component sizes on Bills of Materials. Exploded views, rendered images and animations can be generated directly from within the software. AutoDesk 3D Studio Max 2018 Used extensively in animation and visualisations but also offering powerful simulation tools for lighting, crowd movement and complex mechanical systems. Provides accurate lighting simulation and photo real renderings. AutoDesk Sketchbook Designer 2016 This provides a powerful free hand drawing tool with the added advantage of being able to extract vector curves and splines into AutoCAD if required. AutoDesk ReCap 2018 This provides point cloud integration from 3D lazer survey data. 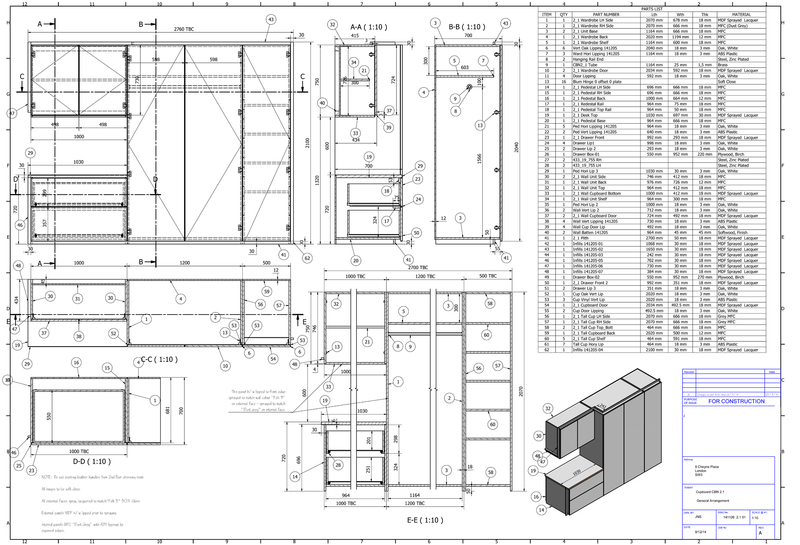 Having used AutoCAD for 25 years, we have seen significant improvements in functionality. As such, whilst happy to provide either 2D or 3D services, in all but the simplest of projects it is often most efficient to produce drawings as a 3D model. Conical Reception Desk Joinery setting out and CNC machining details for a compact hotel reception desk in the shape of a cone. Bespoke Private Library Design development, and joinery setting out drawings, for a large classical style library, with paneling, for a private residence. Drawings for Planning Approval Example of an office extension for an industrial unit. Drawings for design development and subsequent approval by local authorities.